For the next selection on the highlife turntable, I have selected the track Imem, by J.O. 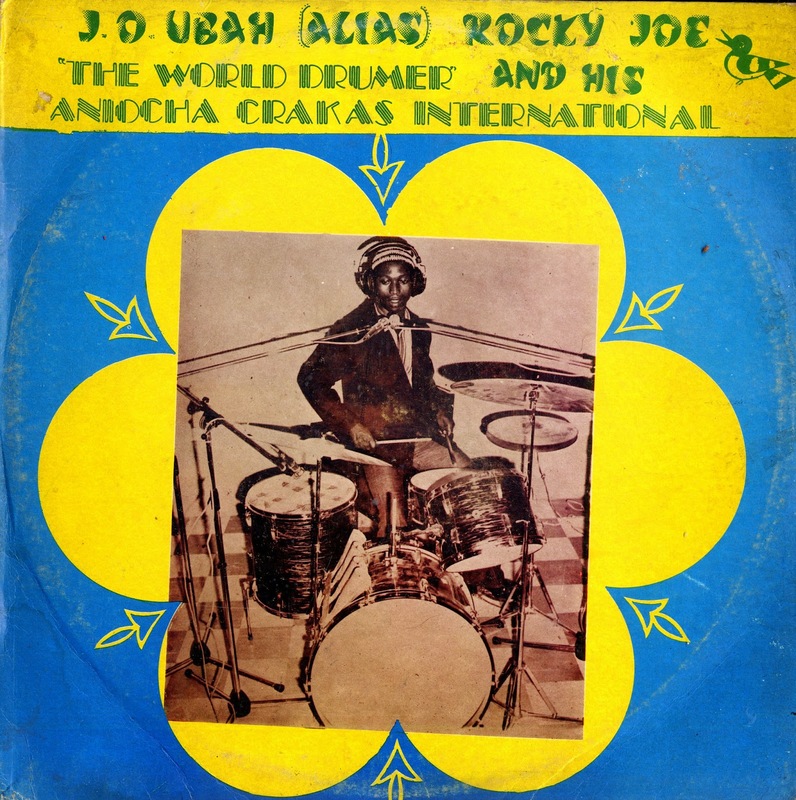 Ubah (alias) Rocky Joe "the world drummer" and his Aniocha Crakas International off an Iyanda release. The Iyanda label was based in Lagos. Their releases ran the gamut from strictly social club recordings to more daring afro-psych recordings like this one. I do not know much about this performer. While percussion instruments were integral to highlife you rarely see LP's driven by the drumming and where the drummer is also the lead vocalist. This song is an ibo highlife one where the drums and vocals play off the guitar lines to create a sparse, stripped down, minimalist sound with a repetitive melody, punctuated by several excellent drum solos. Check out the drumming solo starting around the 4:20 mark and the playing around the 6 minute mark. An altogether interesting piece. There was no date on the release, but I would put it somewhere between the early to mid 70's.